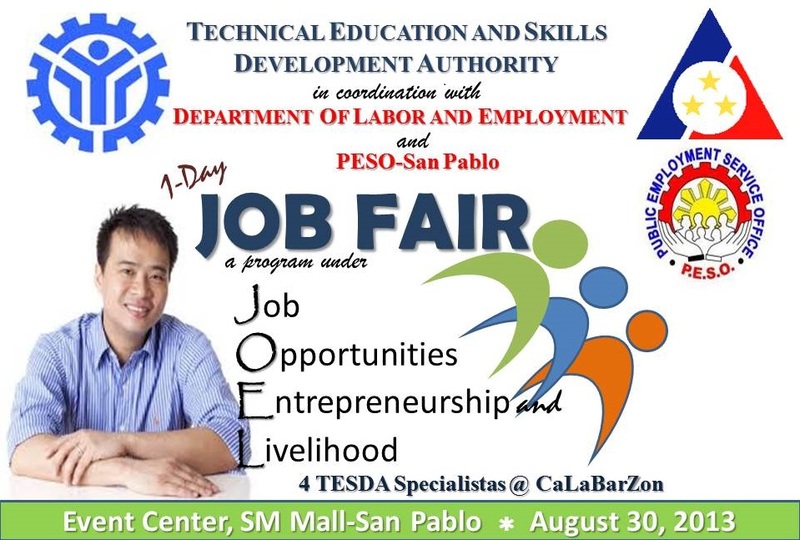 TESDA holds a job fair at the Event Center of SM Mall San Pablo on August 30, 2013. The one-day job fair is in collaboration with the Department of Labor and Employment (DOLE) and the Public Employment Service Office (PESO)-San Pablo. 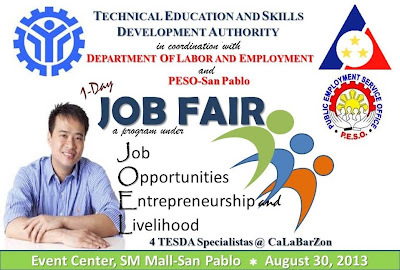 This employment service activity is a program under TESDA's Job Opportunities Entrepreneurship and Livelihood.